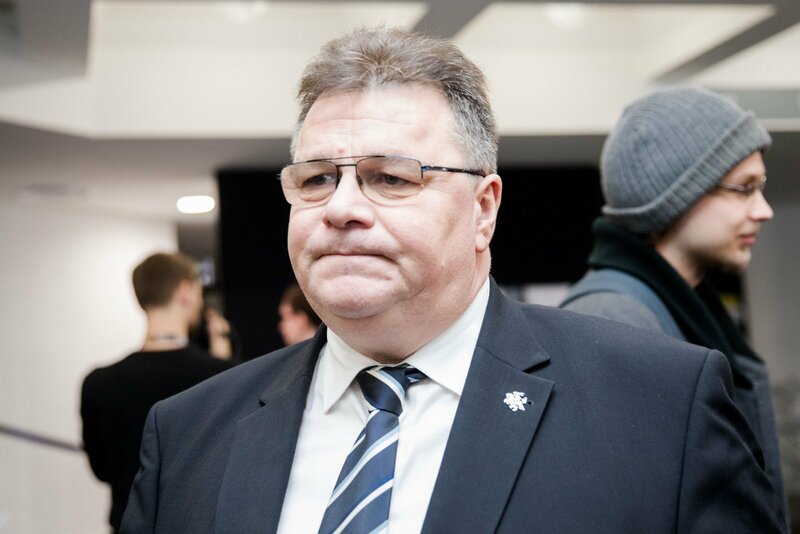 Lithuanian Foreign Minister Linas Linkevičius criticizes the country's parliament for stalling discussions on the CETA trade pact between the EU and Canada. "I think that that stalling is, at best, 'narrow-thinking'. I do want to believe that this is not sabotage," he told Žinių Radijas on Thursday. The CETA was submitted the the Seimas for ratification back in the spring of 2017, but the process has stopped at the parliament's Committee on Health Affairs, which has to give its opinion on the document as a supplementary committee. Under the Seimas Statute, the supplementary committee's opinion is necessary before the lead committee can take its decision. The latter committee's approval is needed for the document to be discussed by the full Seimas. The opposition Liberal Movement's political group in the Seimas earlier last week expressed their concern over the stalling ratification process. "I totally share the Liberals' concern and I can also express my own concern, because I have spoken to the new leadership of the Seimas health committee and I participated in the hearings last year," Linkevičius told the radio station. "As far as this agreement is concerned, I think that all the questions have already been answered," he added. According to the minister, around 150 Lithuanian companies currently export fertilizers, furniture, textiles, food and other products to Canada, and the pact would help them generate an additional 5 to 7 million euros in profits and, as a result, pay more in taxes. Asta Kubilienė, the new head of the Committee on Health Affairs, has promised that the committee will discuss the pact during the parliament's spring session.